GLENWOOD SPRINGS — A man who borrowed a phone late Wednesday at the 7-Eleven on Grand Avenue in Glenwood Springs said he was on the run from police and spoke in his phone calls about a killing. Within about half an hour, Glenwood police had pulled over Craig Alan Vandewege for speeding after watching him put a license plate on a car matching the description from the convenience store. 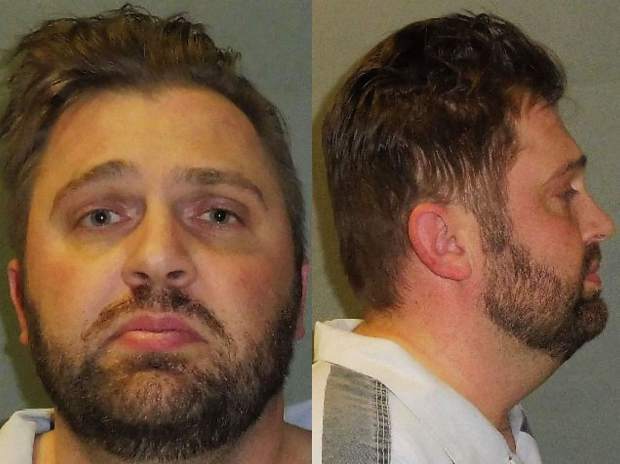 Police documents say that Vandewege told officers, “It’s been a long week, my wife and kid were murdered in Texas,” handed the officer an attorney’s contract and said to call the lawyer to verify his story. Officers, noting that Vandewege showed little emotion, handcuffed him and took him to jail on municipal traffic violations — speeding and no proof of insurance. They soon learned that he was wanted in the death of his ex-wife and infant son in Fort Worth. Nonetheless, Glenwood Police Chief Terry Wilson said, Vandewege “was minutes away” Thursday afternoon from bonding out of the Garfield County Jail when Texas authorities came through with the arrest warrant in the case. Shanna Riddle Vandewege, 36, and their 3-month-old son, Diederik, were found a week ago inside the family’s Fort Worth home, the Fort Worth Star-Telegram reported. Their throats were cut. Glenwood police were alerted to Craig Vandewege when the man whose phone Vandewege borrowed called from the 7-Eleven to tell about what he heard from the driver of a white Hyundai with no front license plate. Shortly after 11 p.m., an officer saw a white Hyundai with no rear plate in the 2800 block of South Glen Avenue. The driver pulled into the Shell station nearby, went to the trunk of the car, retrieved a license plate and screwed it into the rear plate holder of the car, an affidavit said. The car then sped north on Glen/Grand and was clocked speeding 37 mph in the 25 mph zone. During the arrest, police found a loaded handgun in Vandewege’s waistband and another in an ankle holster. After Vandewege was taken to jail, police impounded and searched the car, turning up an AR-15-style rifle, a handgun, boxes of ammunition and numerous bottles of medication, documents said. Fort Worth homicide detectives obtained a capital murder warrant for Craig Alan Vandewege on Thursday, the Star-Telegram reported. Garfield County authorities were notified of the warrant while Vandewege’s release on the traffic charges was being processed, Wilson said. Bail on the warrant is set at $1 million, and Vandewege is being retained at the jail until Texas authorities come to get him. The Fort Worth paper said Vandewege had called 911 on the night of Dec. 15, reporting that he had come home to find his wife and son slain. The necks of the mother and baby — who were found in their beds — had been cut, and their deaths were ruled homicides. The Star-Telegram said that Vandewege reportedly met briefly Monday with homicide investigators, but told authorities he needed to consult with an attorney before talking more. He left the station and didn’t get back in touch. Fort Worth homicide Sgt. Joe Loughman would not tell the Star-Telegram on Thursday what evidence investigators had linking Vandewege to the slayings. Vandewege had reportedly gone to Colorado to attend the pair’s funeral, the paper said, as the couple had moved to Fort Worth earlier this year from Denver, according to a gofundme.com page. Glenwood police said Vandewege had a concealed weapon permit from Weld County, and a check by the Post Independent for a criminal record turned up a 2009 arrest for driving under the influence in Commerce City. A Facebook page under “Craig Alan” with pictures of the couple says he is from Denver. Mark Riddle, Shanna Vandewege’s father, had told Texas media that his daughter had suffered three miscarriages before Diederik’s birth. She was on maternity leave when she and the baby were killed. The funeral for Shanna and Diederik Vandewege is planned for Tuesday at the school gymnasium in Walsh, a town of about 500 in Baca County in extreme southeastern Colorado, according to an obituary notice. Her Facebook page says that she used to work at Walsh Healthcare Center and that she and Craig were married on May 18, 2014.